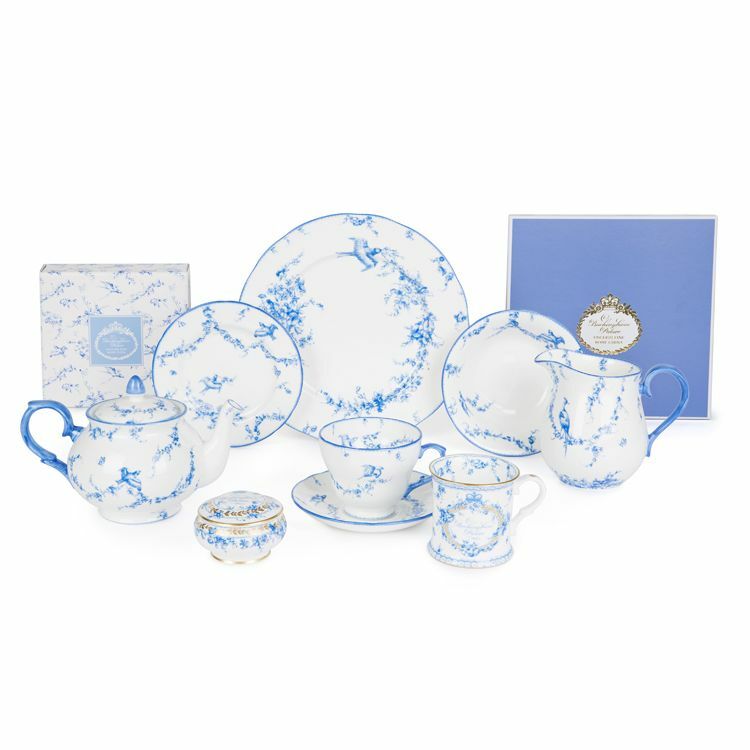 Hear the call of Royal Birdsong and discover exotic birds of paradise, graceful swallows in flight, and traditional floral garlands in each of the unique designs that combine to create this coveted collection. 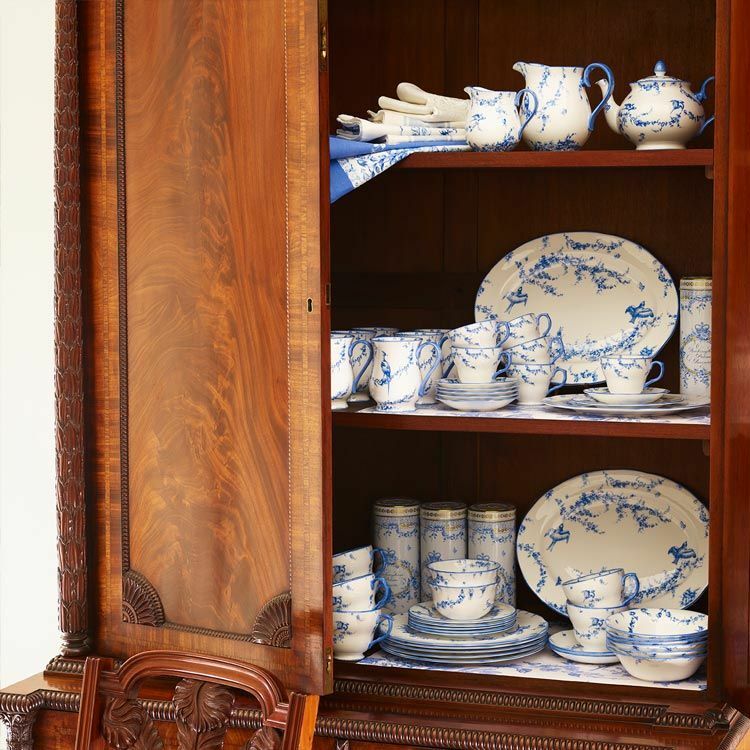 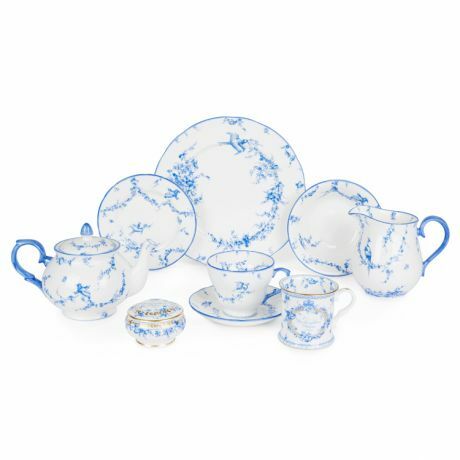 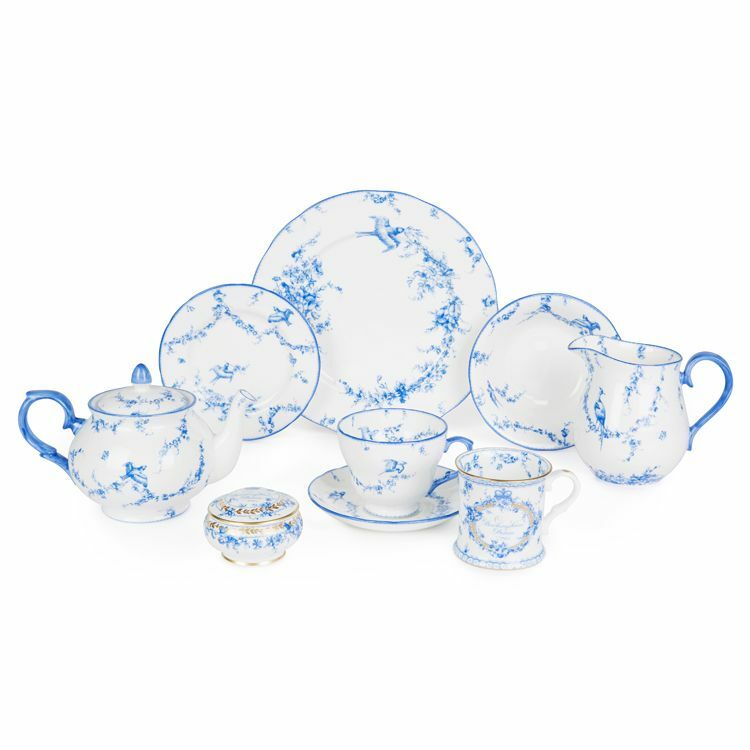 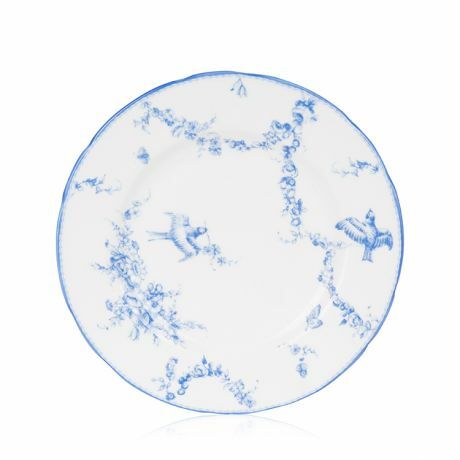 The design of this exclusive china range is inspired by an exquisite cobalt blue and white Sevres water jug and basin in the Royal Collection dating from 1771. The decorations depict festoons of flowers and garlands of carnations, roses, cornflowers and harebells, suspended from elaborate borders around which insects, butterflies and birds perch and weave.